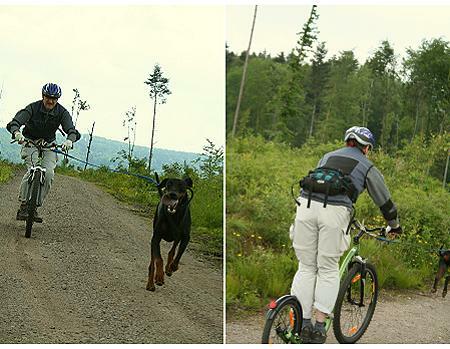 Der erste Test-DOGscooter “Kickbike XC” wird nach einer etwa acht Wochen dauernder, ausgiebigen Testphase von Andrew beurteilt. Die Fußstellung ist hier ähnlich wie auf einem Skate-/ Snowboard. Bergab und bergauf, in schnellem Tempo. 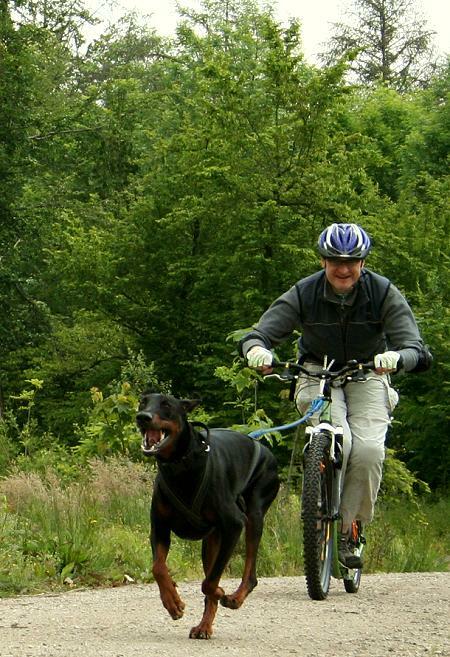 Der Hund bringt mit Freude vollen Einsatz. 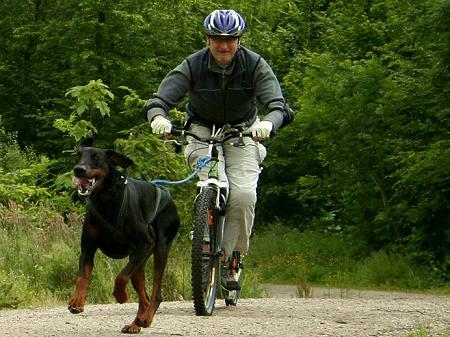 DOGscootering ist ganz einfach – das kann doch jeder, sogar Andrew! Andrew & Aramis – full speed. Your photos are amazing!! 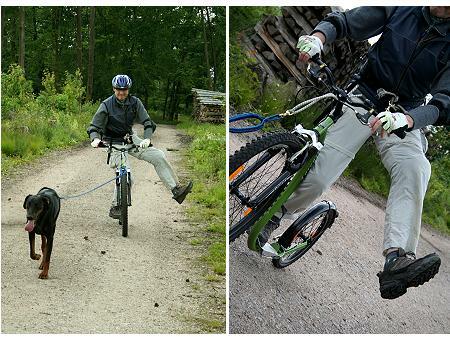 Definitely the best dogscootering photos I’ve seen! I found the link to your site on the Dogs Love to Run group. I started bikejoring with my husky mix this Spring and we are having so much fun! this is a very special compliment and I’m very proud to receive that from “overseas”! We discover that sports discipline, because of Daphne Lewis… and this was this spring… Before that, we have done BikeJöring and CaniCross. 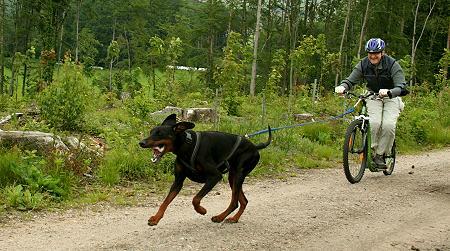 I like DOGscootering very much, because it is not too fast and it is much easier for me in comparison to BikeJöring. 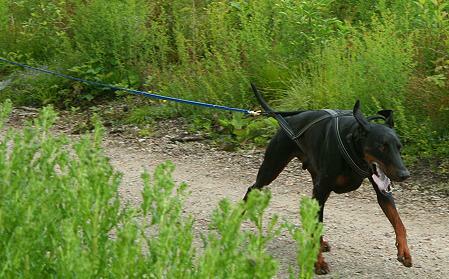 I enjoy to visit the Dogs Love to Run group – there is a lot of good information and all people a especially very kind. My friend Johanna (she’s a musher) also has Huskies, …the fast Scandinavian Hounds… If you like, have a look at her website.